inlingua Como offers general and specialized language training programs in many world languages, including English, Spanish, French, German, Italian, Mandarin, Japanese, Arabic, and more. Whether you are interested in language training for professionals, language classes for general, academic or social purposes or our international English programs, inlingua Como has the right course for you. Our language courses are developed especially to meet each client’s individual learning needs. We assess each learner’s current capabilities, goals and learning style in order to develop a program that best meets his or her needs. At inlingua Como is now possible to obtain international CELI certificates. are issued by the University of Perugia. CELI exams are available for all the levels and are structured in order to test the 4 abilities: writing, reading, speaking and reading comprehension. 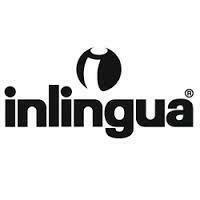 Both the written and the oral part of the exam can be taken in inlingua Como school. The platform offers all the standard features of Virtual Classroom platforms. They include: audio and video of all participants, a recording feature, chat, whiteboard, notes, share application, share desktop, share documents, notes, mute/unmute microphones, passing the presenter role and many more options.